Construction started today with a ground breaking ceremony at Television Centre. Developers Stanhope and construction manager Mace invited 150 guests to mark the occasion with the project team placing concrete in the first pile. Investors Mitsui Fudosan and AIMco and lead architect AHMM also attended the event. 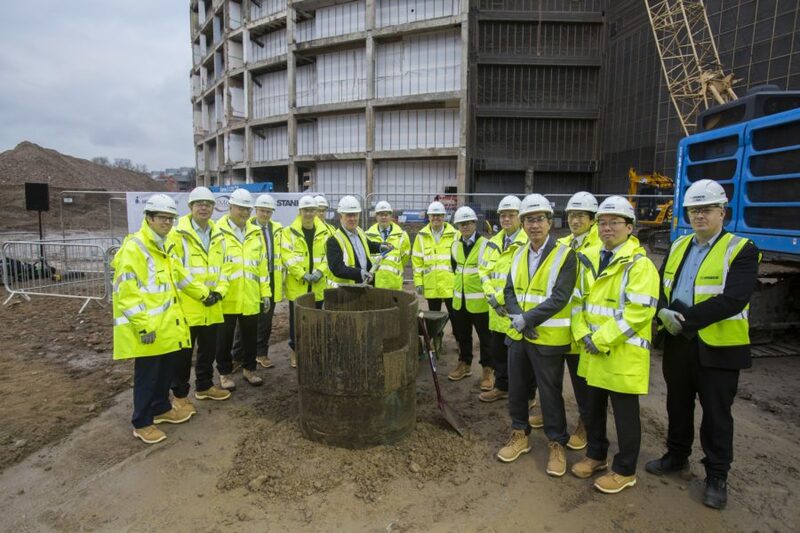 Following the demolition of Studios 4-8 and Stages 4 and 5 next to BBC Worldwide's new headquarters, the ground breaking ceremony marked the start of construction on the project. Television Centre will provide 950 homes, offices for the creative industries, a new Soho House and a wide range of leisure facilities.